Son of James Blaine Patterson and Benice Cummings Patterson, of Chicago, Illinois, U.S.A. 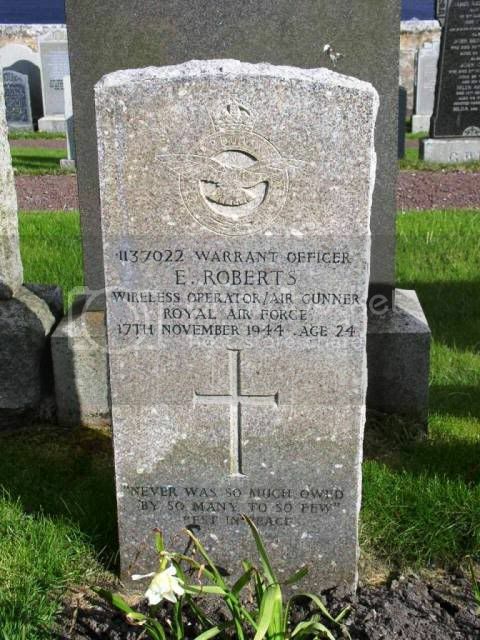 Son of Harry and Jane Roberts; husband of Jane Hannah Roberts, of Mossley, Lancashire. 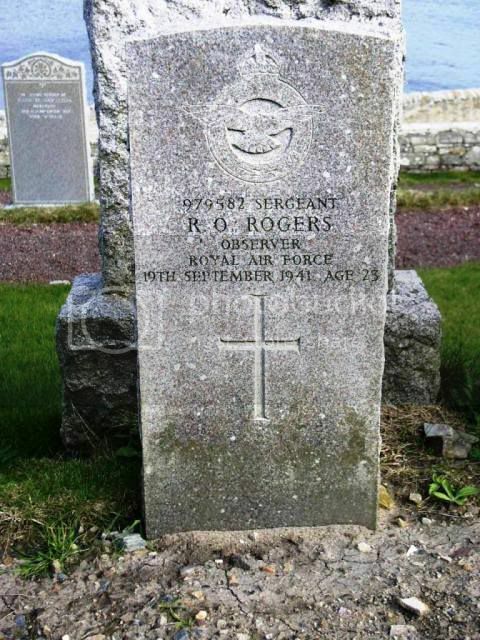 Son of Thomas William Owen Rogers, and Ellen Rogers, of Urmston, Lancashire. 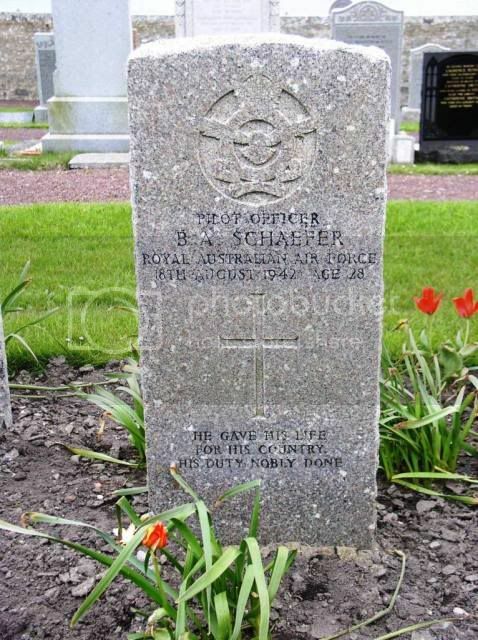 Son of Henry and Grave Schaefer, of Armidale, New South Wales, Australia. Son of George Henry and Ada Florence Simpson, of Seaford, Sussex. 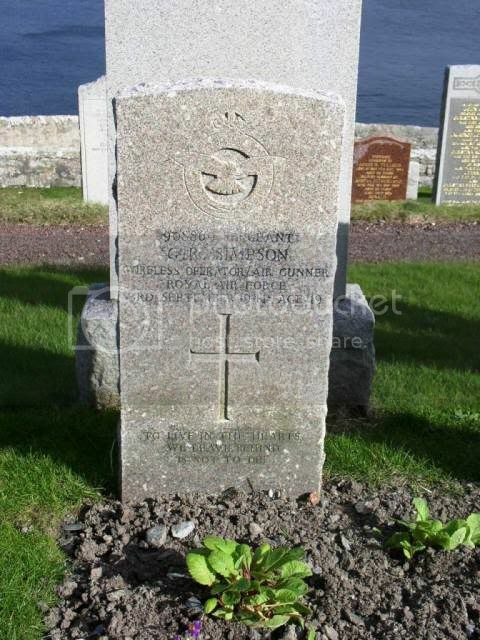 Killed in Blenheim L9261 at Sandness Hill,Shetland. 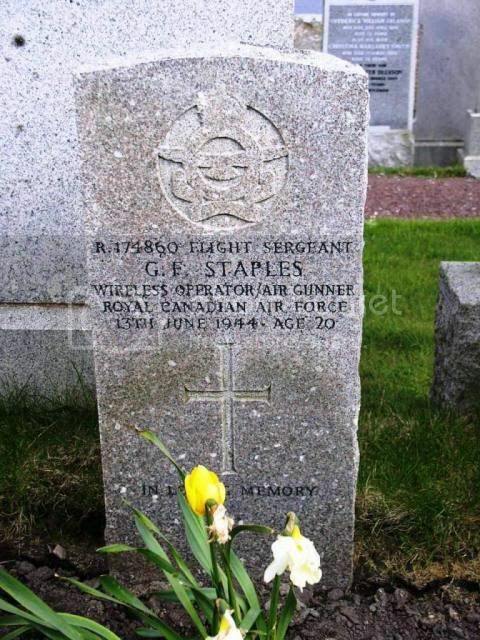 Son of Eben M. Staples and Edna Staples; husband of Christina Watt Staples; husband of Christina Watt Staples, of Marysville, New Brunswick, Canada. 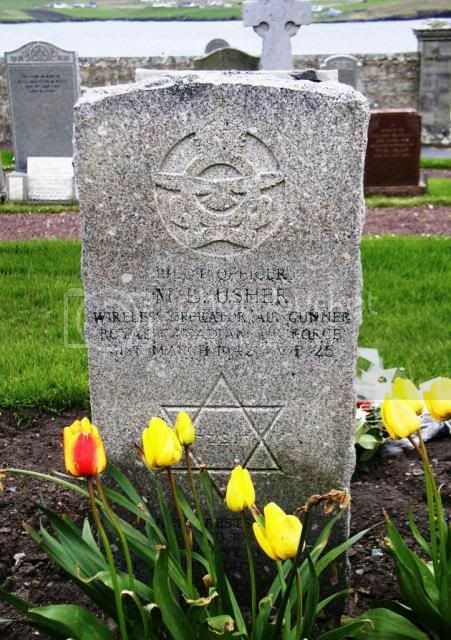 Son of Capt.Tom.Thornley McGillycuddy Stoker, M.C., and Mary Braithwaite Stoker, of Montreal, Province of Quebec, Canada. Norway owing to bad weather over target area. 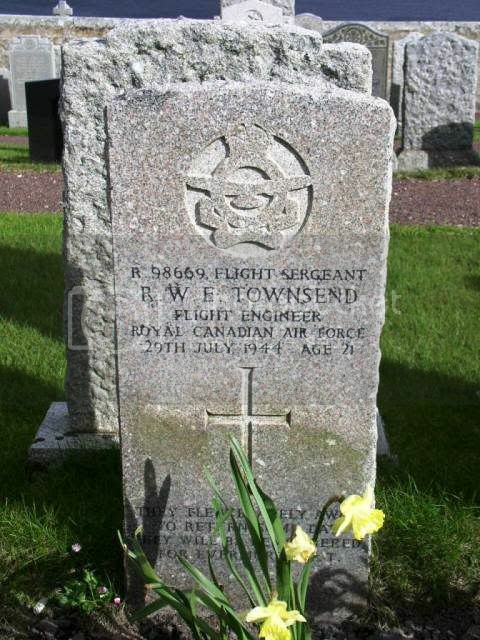 Son of Robert and Mabelle Townsend of Tisdale, Saskatchewan, Canada. 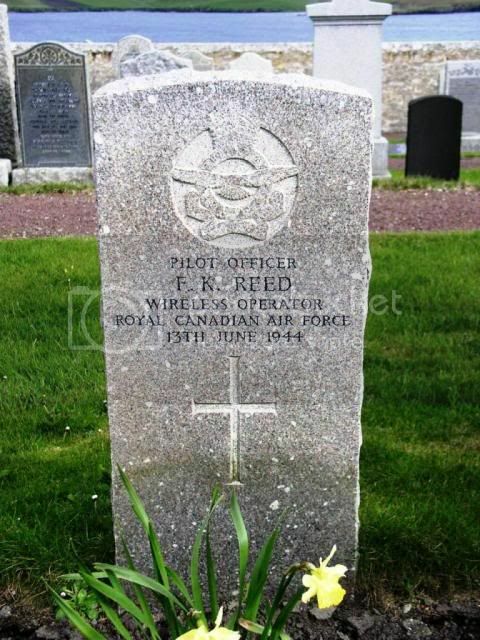 Killed in Canso 11062 that crashed on Foula. Son of Max and Leah Usher. from a raid on Tirpitz. 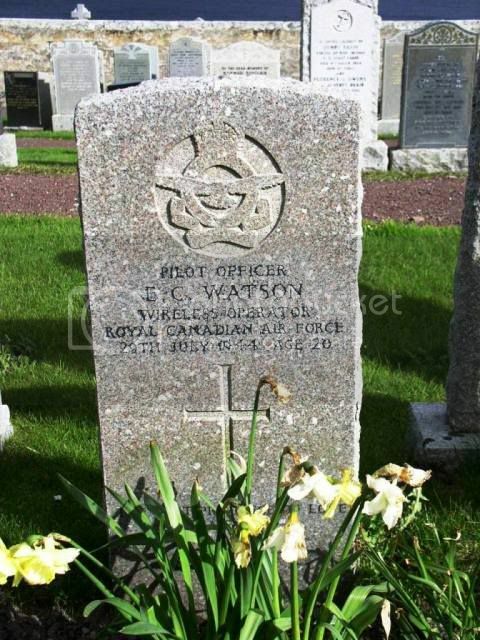 Son of James E Watson and Mary E Watson, of Sarina, Ontario, Canada. Son of William H West and Ann West; husband of Stella D West, of Kentish Town, London. along with Sub/lt J.Brown and Leading Airman E.W.Kelly. 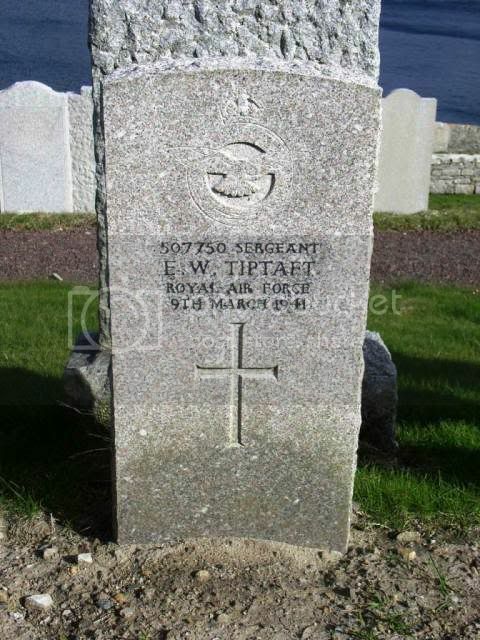 "Commission Searches for Relatives of War Dead"
Grave Reference6th Terrace lower town side. 37. Husband of Mrs. Hamilton, of 3, Albert Yard, Grimsby. Born at Barking. Recent research has shown that Deck Hand Hamilton is buried here; the Commission is in the process of producing a headstone to mark his grave. Registered with Consolidated Steam Fishing & Ice Co, Grimsby. 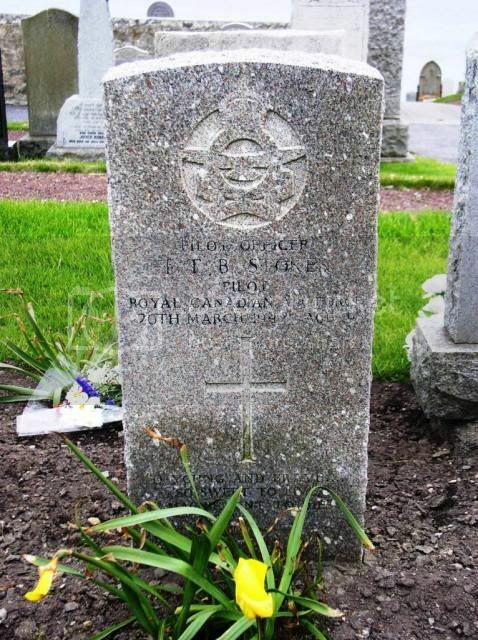 Fate: Lost on Saturday 21st April 1917 whilst outward bound from Grimsby. Captured & scuttled by bombs from U-Boat 35 miles NNW from Foula Island with the loss of one of her crew.